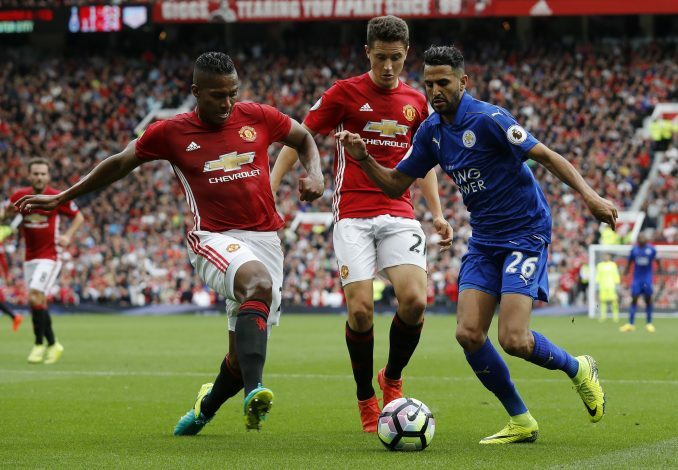 Leicester City star Riyad Mahrez was heavily linked with a move away from King Power Stadium this transfer window, especially on the deadline day, with Old Trafford labeled as one of the possible destinations. However, Manchester United were ‘never’ interested in a deadline day transfer for the player, according to reports. Mahrez, who was keen to force a move to a bigger club, was released by the Algerian national team from their training camp on the final day of the transfer window. It was tweeted that Mahrez was given the permission to ‘formalize his transfer to his new club’. The 26-year-old was then spotted in Paris and London, which lead to massive speculation about his final destination. Many reports suggested that United were also among the clubs looking to make a swoop for the Algerian in the final hours of deadline day. However, according to Leicester Mercury, Mahrez was never on Jose Mourinho’s shopping list, and no deadline day bid was made by the Red Devils to sign the winger. United were hoping to bring in Inter Milan’s Ivan Perisic, after their prime summer target, Antoine Griezmann, pledged his future to Atletico Madrid earlier in the window. Though, Mourinho still has eyes on Griezmann and Real Madrid’s Gareth Bale to fill in the No.7 shirt, Mahrez was never a target for the Old Trafford club. No Premier League club made a bid for the 26-year-old during the entire window, despite the Algerian being heavily linked with Chelsea, Arsenal, and Tottenham. Only Roma had submitted a bid earlier in the summer, but even they were unwilling to match Leicester’s valuation of the winger.